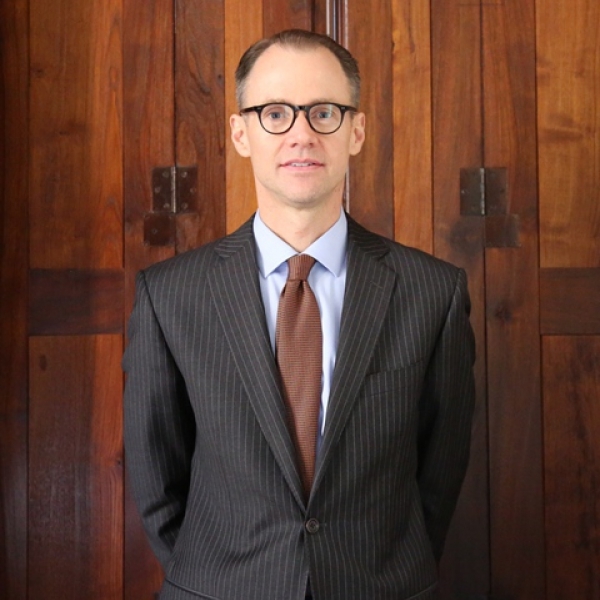 On March 14, 2019, the Institute for Transnational Law was honored to host a distinguished lecture by Brooks Daly, the Deputy-Secretary General & Principal Legal Counsel of the Permanent Court of Arbitration (PCA) in The Hague. He has primary responsibility for the legal affairs of the PCA, an intergovernmental organization with 121 member states devoted to the settlement of international disputes through arbitration, conciliation, and other peaceful means. His responsibilities include advising lawyers and arbitrators participating in international arbitration under PCA auspices on a variety of matters relating to arbitral procedure and international dispute resolution generally. As part of his distinguished lecture, Mr. Daly discussed the organization of the PCA, the PCA’s dispute resolution services, the PCA’s docket in 2018, engaging the arbitral community, global cooperation, and members of the International Bureau in 2018. Download a PDF of the PCA’s 2017 – 117th Annual Report.